Lifeline is an individual case study using my personal experiences, and is a chapter of my life in a sense. 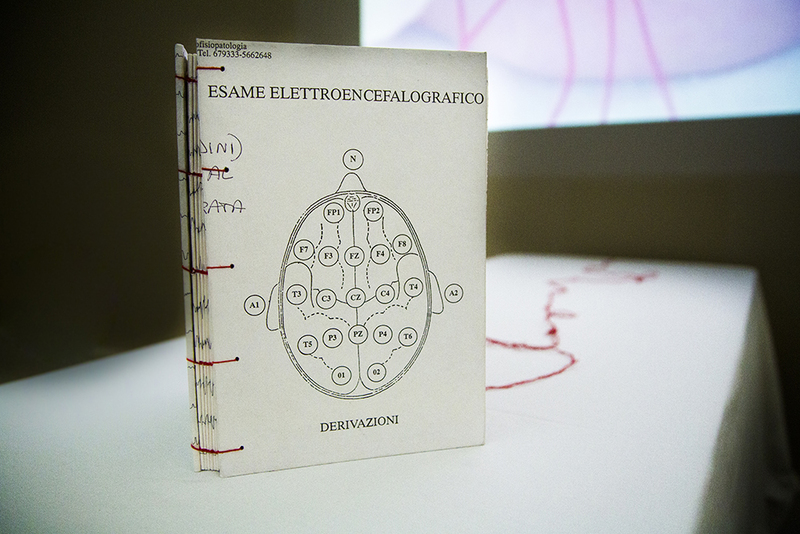 The book is comprised of paper from a brain wave scanner that was found in an abandoned hospital in Italy. I filled this book with quotes from the MMPI and photographs of my explorations. The book has mental chapters of my life that I am slowly letting go. The sheet on the table surrounds my inanimate body, protecting me from my past, which is then exploited in the projection above me. I utilize the destructive emotions of personal incidences to recreate the experience for the viewer. 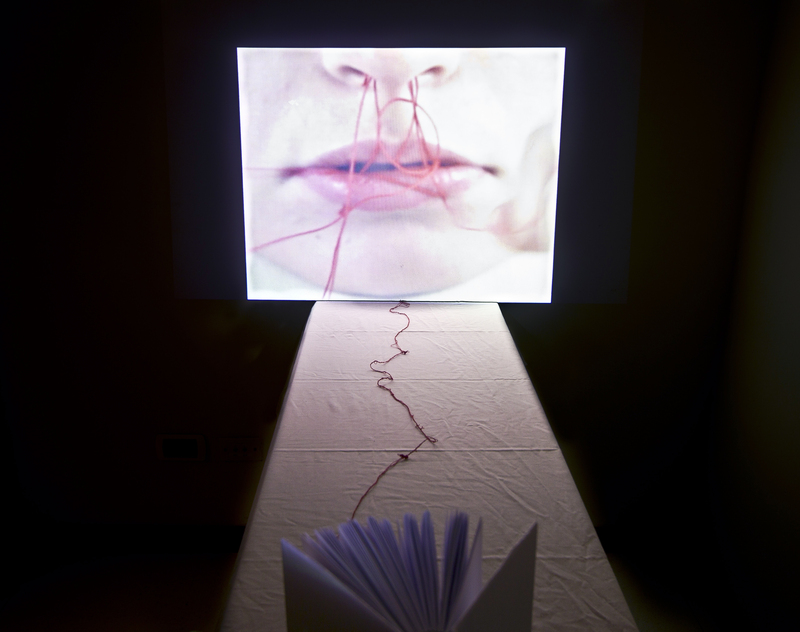 The viewer is confronted with the possibility of the end of a life in this piece, but is physically separated from the subject experiencing this. There is however, a direct sculptural connection from the viewer to the subject, which is the thread. By unraveling and unknotting this thread, which is sealing my mouth shut, I am then able to literally speak to aid in separating this chapter from the book of my life.